Losing your ID and social security card is an altogether common occurrence. It happens all the time and the local social security administration offices often have to deal with them. This is because most people don’t really understand what is at stake when they lose their cards. This underscores our point that just because social security card losses happen all the time does not mean the situation is any less grave. This article explains to reader the real dangers one can face once they have lost their social security card. It also delves into what you should do in those types of circumstances. 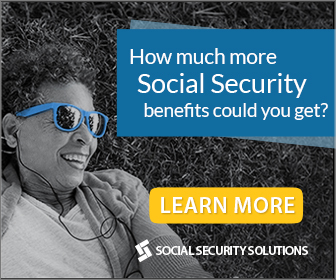 Your social security card holds some very valuable information. We are, of course, referring to your social security number. This nine-digit code may seem useless but nothing could be farther from the truth. The government uses it to keep track of your earnings and employment history. Needless to say, if it falls into the wrong hands, then you may find yourself in serious trouble. There are identity thieves, after all. If they ever get their hands on such sensitive information then there could be serious consequences for both your financial and personal life. Now that you know what is at stake, you need to understand that time is of the essence in this situation. You simply cannot delay. Once you are sure that you lost your card and ID, you have to report it to the authorities immediately. This means contacting your local social security branch and the police to give them an idea of your situation. By doing so, they will be able to properly monitor the situation of your account. More importantly, you will be insulated in case of any anomalous activity that comes as a result of your loss. We suggest applying for a replacement social security card as soon as possible. You may not be able to get one without a birth certificate or a proof of copy. The short answer is often times in 2 weeks or less, for a more detailed answer we suggest reading this article. Same day social security card replacement is possible but only in person in certain locations.